Does yetiyeti belong in this group? Does fallendragon92 belong in this group? Does phenoxx belong in this group? Does lightfall belong in this group? 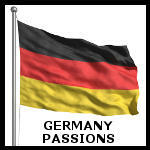 I love Germany I love Germany. My late father was a veteran from Aachen,Germany. I do visit Germany every year for the Oktoberfest. I just love Germany. Nerd Ich bin auch auf einer anderen deutschen Single Webseite angemeldet und habe mich aber jetzt auch hier angemeldet, weil es schon recht schwer ist Nerds auf den "normalen" Seiten zu finden. Meine Hobbys sind Freunde treffen, Computerspiele, Lesen, Serien/Filme. Does animage belong in this group? Does evelis belong in this group? Does choppel belong in this group? Does xcow belong in this group? Hi! I'm a very open minded, easy going and married guy from Germany. My american wife and me are heavy smokers and 420 friendly, so we would like to find here a girl that smokes also. We'd love to try new things, to travel and to make new experiences. Feel free to ask everything, that you'd like to know about us. You can write in English or German if you want.